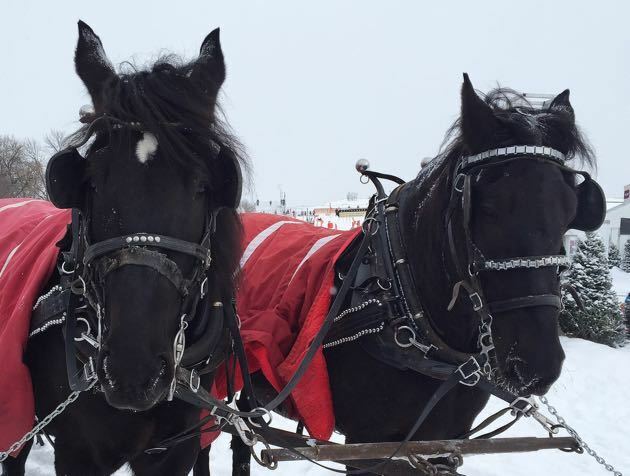 The Quebec Winter Carnival - So Much to Love ! 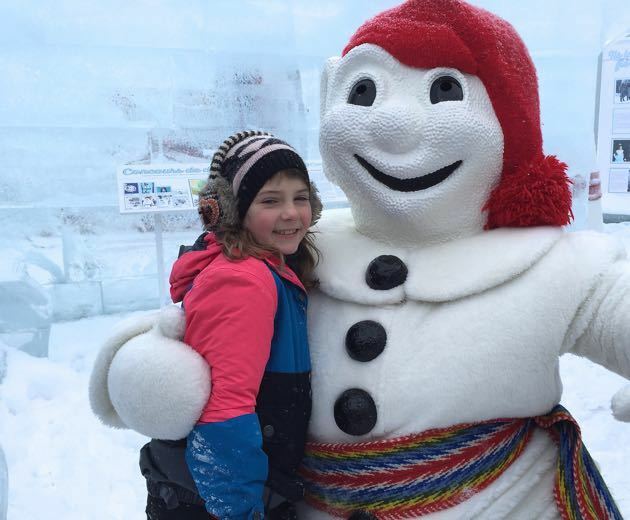 The Quebec Winter Carnival – So Much to Love ! 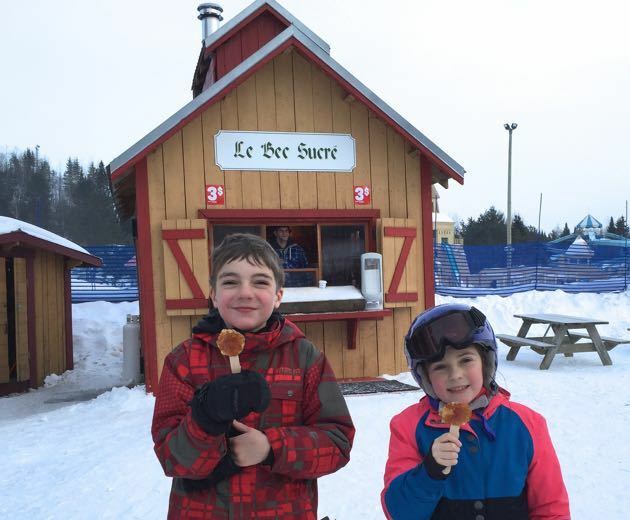 Home / Family Destinations / The Quebec Winter Carnival – So Much to Love ! The Quebec Winter Carnival is the quintessential Canadian winter party. It is a 3 week long festival steeped in history, although I can assure you that when it is -18°C (0°F), one would find any reason to throw a party. Growing up in Canada as I did, you learn a lot about the traditions of this famous event and can probably even rattle off the name of its mascot, Bonhomme Carnaval. Although I never had a chance to attend as a child, I was delighted to bring my own kids when the stars aligned and an opportunity presented itself. 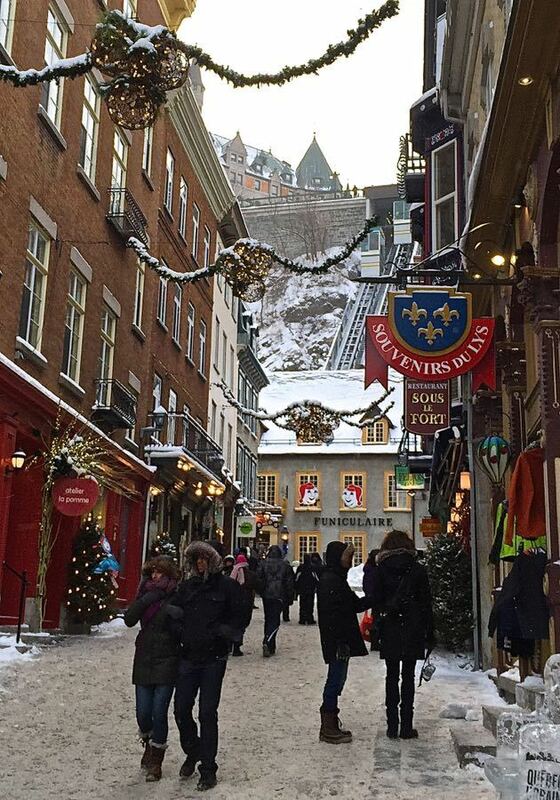 The Carnaval de Québec is not the only reason you should visit Quebec City, however. 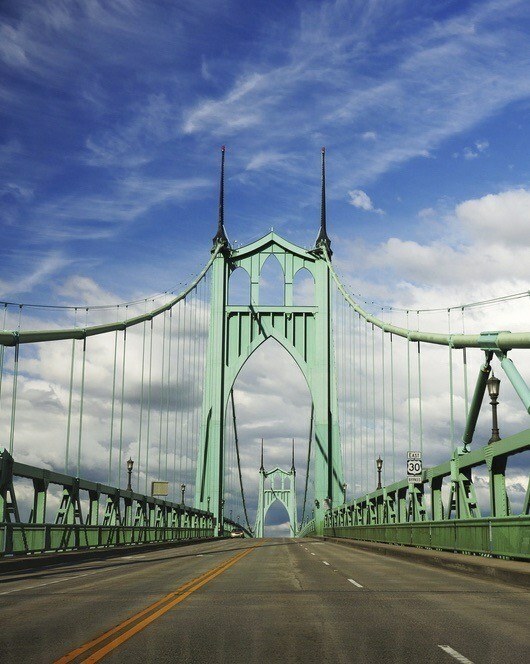 It is truly one of the prettiest cities in North America. Part of the beauty of this 400 year old city is the European charm of its narrow cobblestone streets, and the historic stone buildings within its fortified stone walls. The Old City (Le Vieux Québec), is in fact the only walled city north of Mexico. 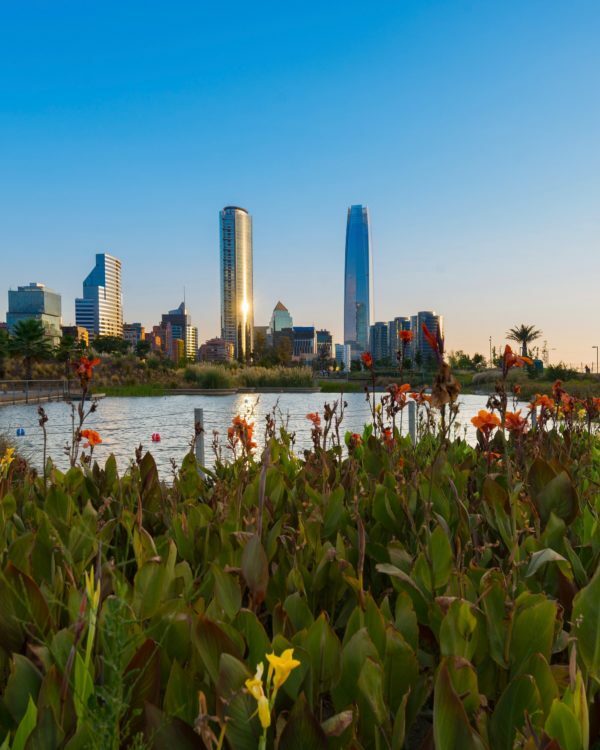 These days, with no great need to defend against attacks, you will find the gates open and the streets full of lively cafes, art galleries, fine restaurants and lovely hotels. 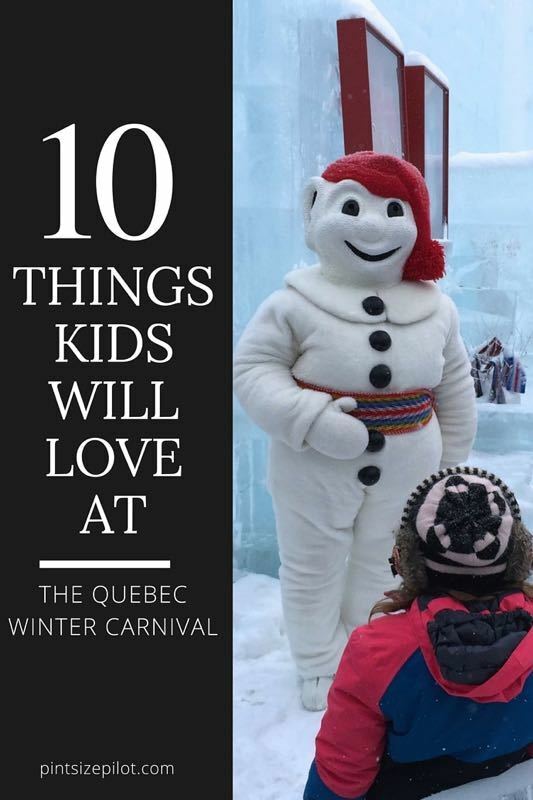 I would love to show you all the things we enjoyed with our kids in this beautiful city during the Quebec Winter Carnival. 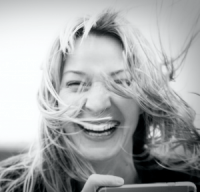 If you are in a hurry, you can simply watch this 2 minute video. Otherwise, please read on. 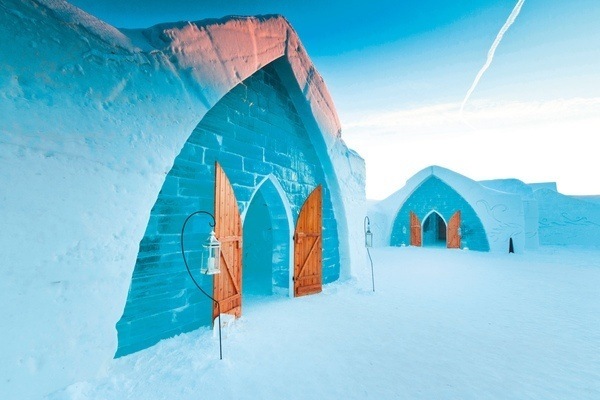 Painstakingly made anew each year (with a unique theme), the Ice Hotel is a must for a winter visit to Quebec City. Even if you are a not one of the lucky few ticking spend the night at an ice hotel off of your bucket list, be sure to stop by for a tour. During the day, visitors have full access to the whole compound including the cathedral, the grand foyer (with an ice slide for the kids), and the themed hotel suites. Leave time to pop into the NEIGE cocktail bar to sip on a delicious concoction from an ice glass (non alcoholic drinks are available for kids). For more information (including overnight stays and tours that can help you skip the line), see the Hôtel de Glace website. Where else would Bonhomme Carnaval live but in a castle made of ice ! This is the Quebec Winter Carnival’s version of Santa’s Workshop and is sure to delight kids both big and small. It is the perfect place to have a meet and greet with the famed snowman and get that keepsake photo. 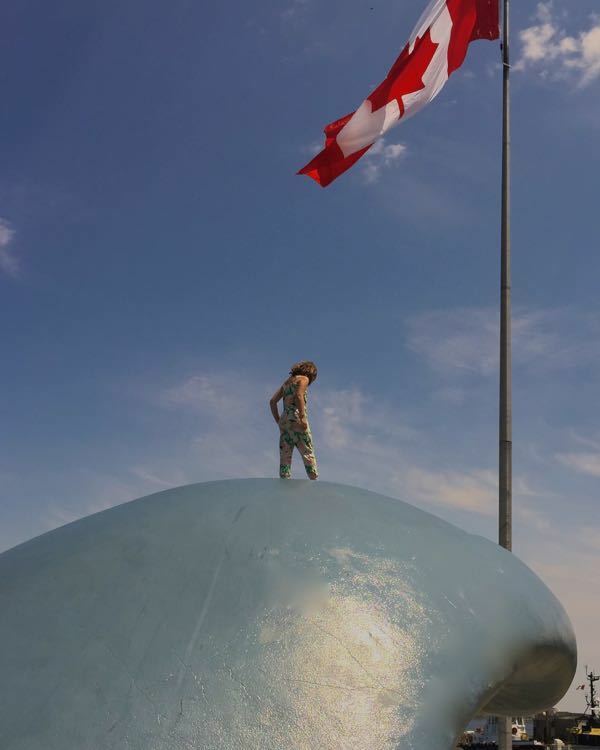 I hesitated in committing to an outing to a tube park because I was worried that it wouldn’t be french enough and that we might miss out on something more distinctly Québecois.Thankfully, I came to my senses because this turned out to be the thing that my kids loved most about our time in Quebec City. This tube park is absolutely gigantic with all kind of runs, from gentle slopes to terrifying double black diamonds. I finally had to bribe my children with candy (maple taffy candy, of course) to get them to call it a day. The tubing is only part of a larger entertainment complex that will also soon include a 153 suite hotel and indoor aquatic park (coming December 2016). 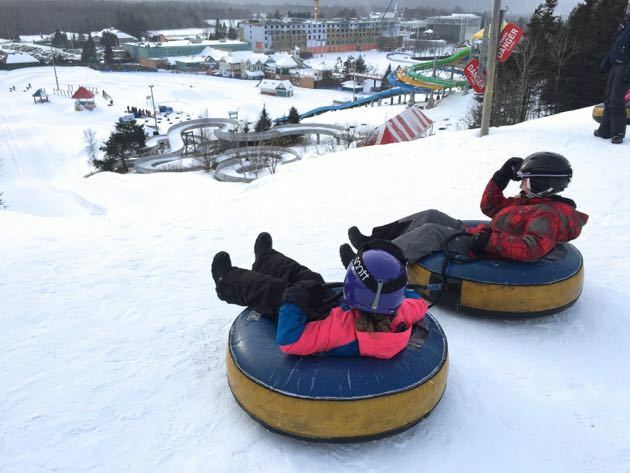 Learn more about Village Vacances Valcartier here. 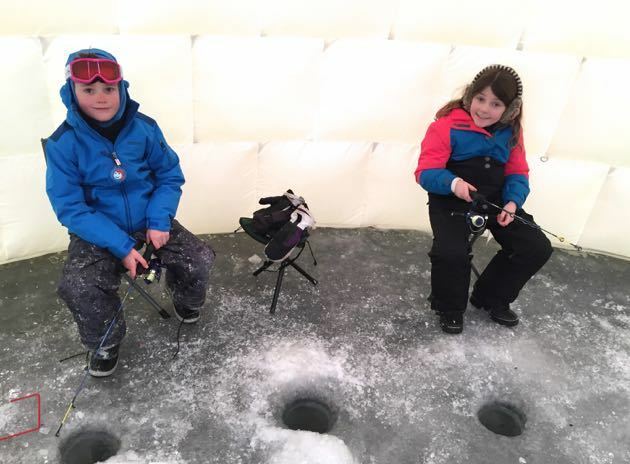 It’s not every day that you get to try your hand at ice fishing (at least not for most people). Although my daughter and her friend did not catch anything, they still very much enjoyed the experience. While quite a chilly pastime, visitors do remain protected from the wind inside the igloo shaped tents. From this frozen section of the Louis Basin you can also enjoy outdoor ice skating with the beautiful Vieux Québec in the distance. Imagine life several centuries ago as you pass through the gates into the Old City on your very own carriage ride and history tour. Personally, I have found that unless a walking tour is specifically geared toward children, my kids don’t do very well. A short carriage ride (perhaps with a hot chocolate in hand) and a little history thrown in, provides a much greater chance of success. Race your kids at almost 70km and hour on this classic 3 track toboggan slide. 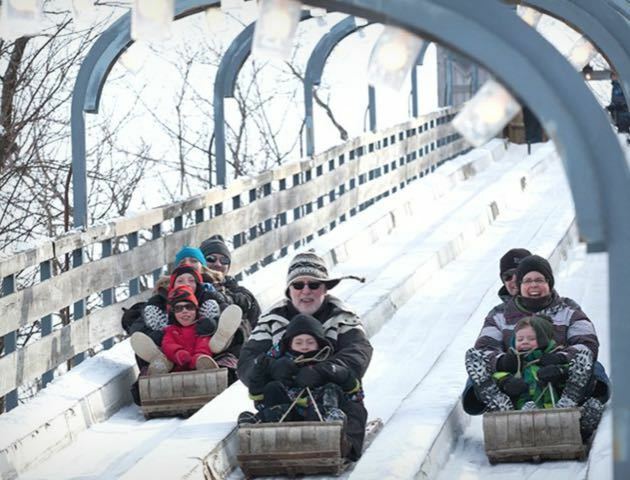 The Toboggan Slide au 1884 has been delighting kids for over 130 years (it even predates the Château Frontenac). 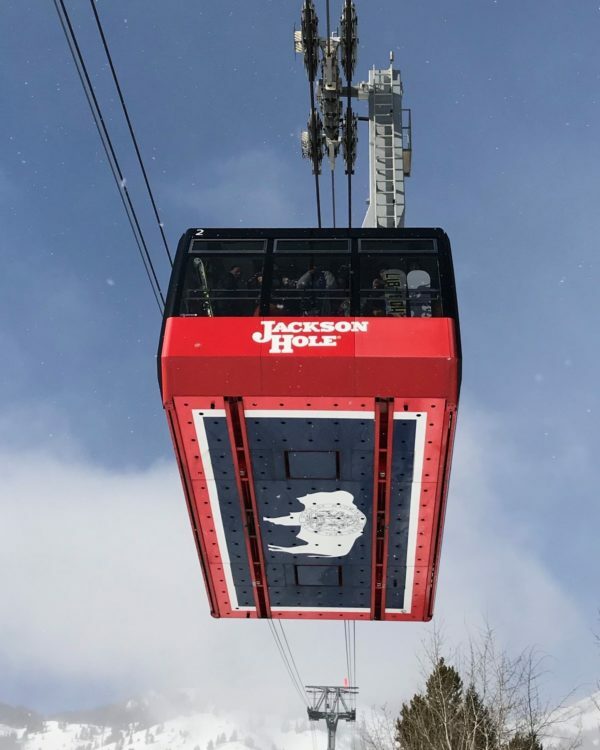 Tickets can be purchased at the nearby kiosk and the toboggans are provided. Why take the stairs that connect the Old City’s Haute-Ville and Basse-Ville, when you can take a funicular? The two cabins act as counterweights to take visitors up and down the steep embankment between Place Royale and Dufferin Terrace in front of the Chateau Frontenac. Enjoy this short, but unique experience as it is the only funicular found in the U.S. or Canada. 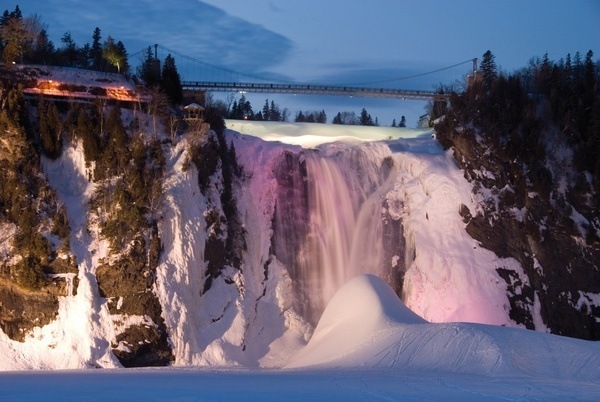 Just a short drive outside of Quebec City are the incredible Monmorency Falls. At 83 meters, they are a full 30 meters higher than Niagara Falls. Take the cable car from the bottom and then view the falls from above from the suspension bridge. You might even get to see it when the Sugarloaf appears (Pain de Sucre); a unique mound that forms in front of the falls from the freezing mist (a little one is shown in the image below). The fairgrounds on the Plains of Abraham (site of the famous battle between the French and British) are where much of the Quebec Winter Carnival fun happens. 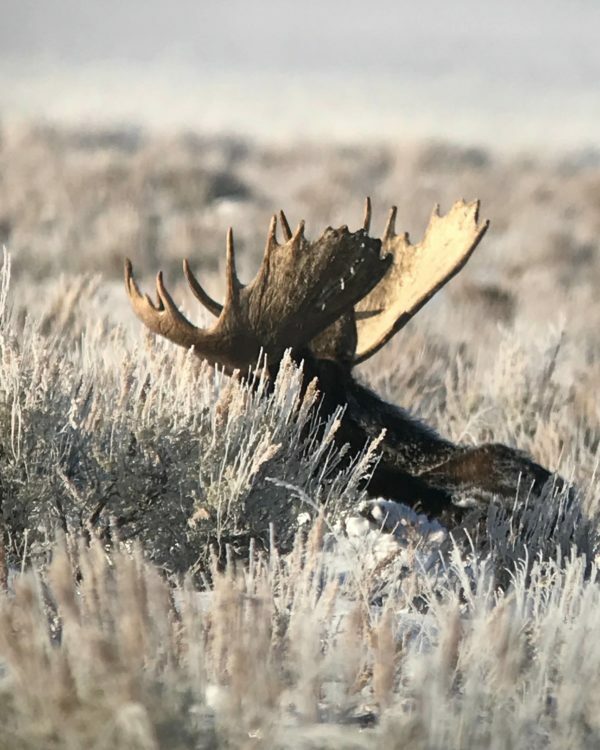 On this site, kids can enjoy dog sledding, sleigh rides, amusement rides, tubing, a snow bath competition, a canoe pull, snow bowling, live music and so much more. Dress warmly and plan to stay all day. Take in the crisp cold air with an afternoon of outdoor skating. 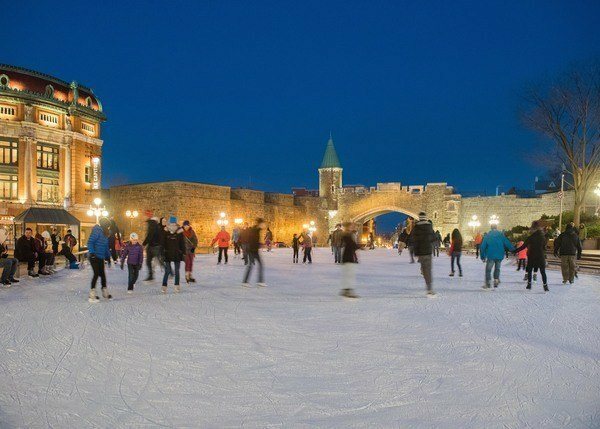 You will find a rink on the historic Plains of Abraham that operates from mid-December to mid-March. It has skate rentals and a snack bar. There is another outdoor rink at Place D’Youville in the heart of the Old City that is open from mid-October to mid March. This space has skate rentals but is without a snack bar (warm up with a hot chocolate and yummy pastries at the nearby Second Cup cafe). Poutine: Although it is now on many menus around the world, Quebec is the birthplace of poutine. What’s not to love about a pile of fries, layered with cheese curds and then smothered in gravy? Ask a local for the favourite spot, or try Chic Shack which is right next door to the Fairmont Chateau Frontenac in the Upper Vieux Quebec. Tourtière: A delicious meat pie made from finely diced or ground pork, veal, beef or even wild game. A Montreal Smoked Meat Sandwich: If you are not going to get to nearby Montreal for a famous Schwartz’s Deli smoked meat sandwich, you can certainly find a decent substitution in Quebec City. What makes Montreal smoked meat special? The kosher meat is cured with a special recipe of cracked peppercorns, garlic, coriander and mustard seeds and more (and less sugar that New York pastrami). Quebec Cheese Please: Did you know that Quebec wins all kinds of awards for their cheeses? Take a peek at this list from the Canadian Cheese Grand Prix to help make some educated choices to pair with your wine. Maple Taffy: Known as tire d’érable in french, this sweet treat is made from sweet maple sap poured on to snow and then lifted with a stick. It was a favourite for my son (who doesn’t like sweets), yet was considered too sweet by my candy-loving daughter. Go figure ! Caribou: Okay, this is more of a drink than a food, but it certainly sticks to your ribs ! I was initially hesitant to try this traditional Quebec Winter Carnival drink, that is a concoction of red wine, whiskey/brandy and maple syrup (although there are many variations on this recipe). When the mercury dropped low enough, however, my resolved weakened and it actually tasted pretty good. We generally stay in boutique hotels, but we found our stay at the Hilton (the Official Hotel of the Carnaval de Quebec) to be very enjoyable and extremely convenient. It is right across the street from Bonhomme’s Ice Palace, on the Carnaval parade route, and only a short walk to the Monde de Bonhomme fairgrounds. The rooms are spacious, the service good, and my kids loved the indoor/outdoor pool. 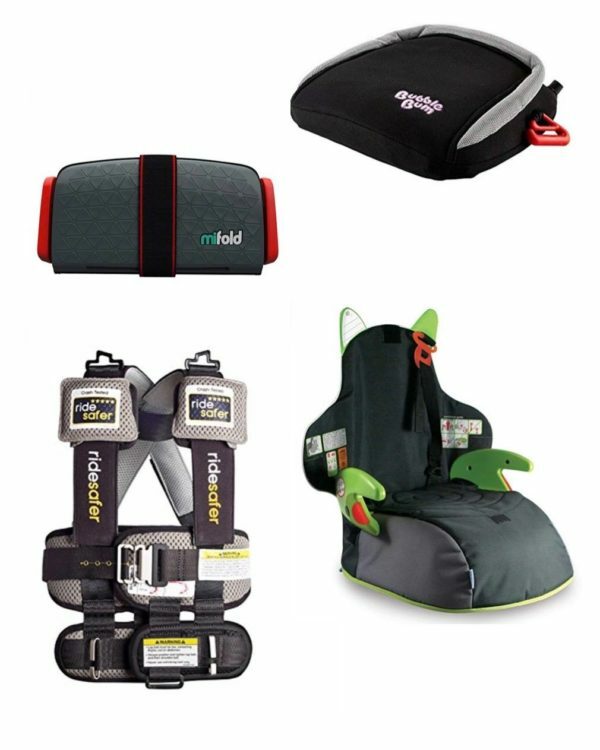 Family Friendly Room Options: Options include double/doubles, queen/queens, king/+sofabed, and larger suites. 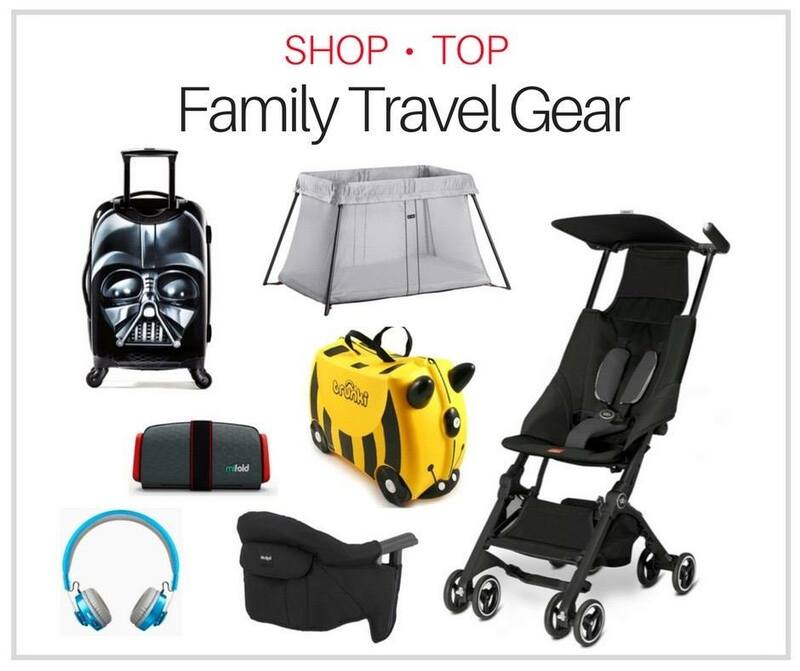 Reviews: 78% of family reviewers rate as ‘Very Good’ or ‘Excellent’ on Tripadvisor. Best Rooms: High floors facing the river and the Old City. If you prefer a boutique hotel, take a look at the Auberge Saint-Antoine (website). If a stay in a fairytale palace is on your bucket list, look no further than the Fairmont Château Frontenac (website). 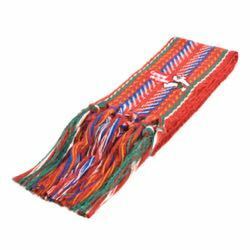 If you enjoy accessorizing, sport the arrowhead traditional sash, also known as the “ceinture fléchée”. Another popular accessory is the carnival cane. No, all of Quebec City doesn’t walk with a limp, but they do enjoy warming up with a festive libation. The cane is hollow and can be filled will Caribou, or another spirit of your choice to be enjoyed while out and about. Note: The rules around consuming alcohol in public are refreshingly lenient in Quebec. Drinking out of your souvenir cane in other Canadian provinces, is not advised. During the Carnival de Quebec, the average high temperature ranges from a low of -14°C (7°F) to a high of -5°C (23°F). That said, it can go much lower. During our stay, the temperature hovered around -26°C (-15°F), an experience that I found rather shocking (I am Canadian, but live in relatively balmy Vancouver). My advice would be to prepare for the Ice Age, and you will likely remain happy and warm. So as not to go on at length in this post, I have written this separate post on What To Wear To the Quebec Winter Carnival. 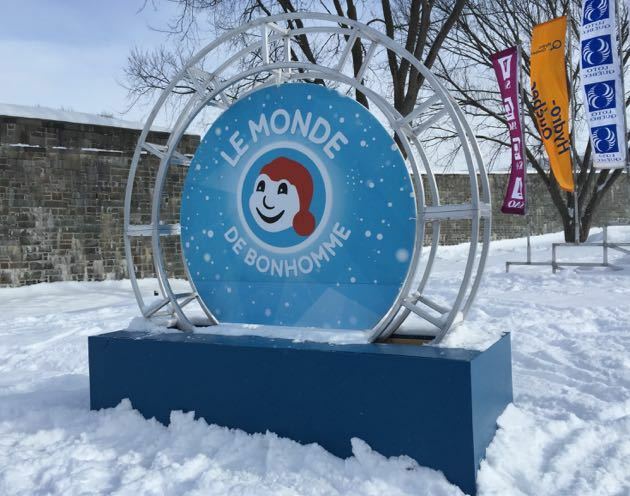 To learn more about all the great events that are part of the Quebec Winter Carnival, please see the Carnaval de Quebec website. Disclosure : While visiting Quebec City, we were guests of Tourism Quebec and Quebec City Tourism, with most expenses being covered by these entities. All opinions about our experience are entirely my own. 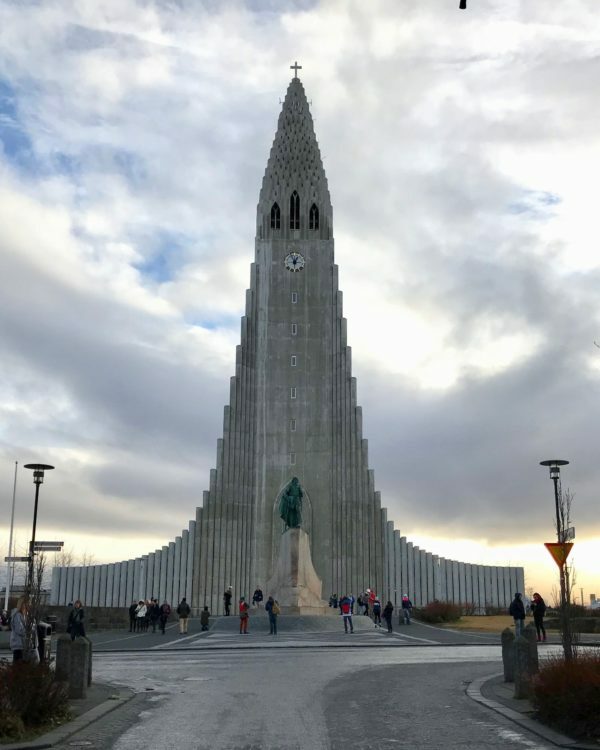 As always on my website, I encourage you to also read current reviews by other family travelers on hotels, attractions and restaurants (Tripadvisor, Google, Yelp etc.) 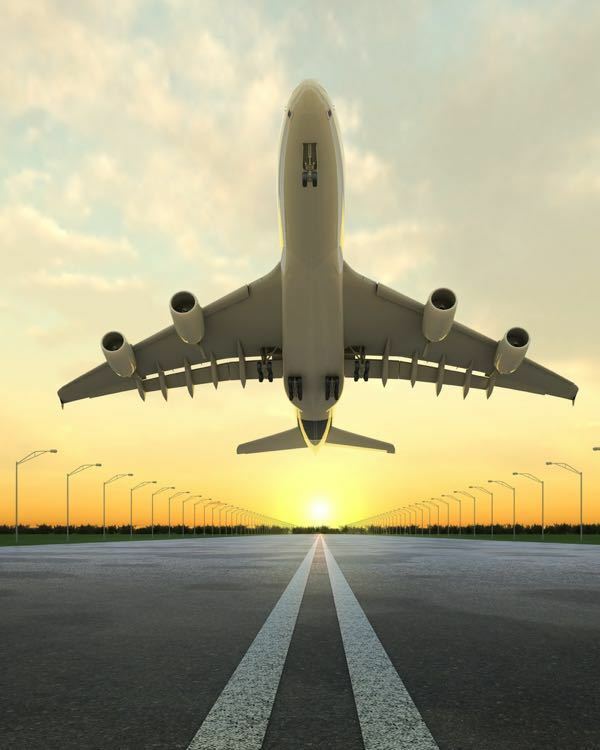 before booking or making any final travel decisions.